When the holiday season rolls in, time is short and demands are high. Happily, wine is there to support the food, family and friends in a dynamic role that ranges from subtle to celebratory. We’ve rounded up some of the high-demand holiday happenings for bringing a bottle to share and given a handful of our favorite recommendations to get the party started. The specs for this bottle typically lie in the under $20 category and ideally should be super versatile with a variety of appetizers and go-to dinners. If it’s a holiday gathering, chances are good that the bottle will be opened on the spot and ready to roll with whatever festive holiday dishes or seasonal h’ordeuvres are gracing the table. Nothing says, “thanks, happy holidays, glad-to-be-here” quite like a bottle of wine at the door. To turn the gift up a notch, consider leaning towards a lesser known region or grape – which has the added bonus of morphing into an easy (and educational) conversation starter. Top Pick Wine: To roll crowd-pleasing character, food-friendly nature and somewhat exotic region all into one welcoming price point, reach for Pazo Senoran’s 2016 Albarino. Albarino is Spain’s delicious answer to all sorts of tough to pair foods. Bringing citrus appeal underpinned by earthy, fresh cut grass aromas neatly packaged in the elegance and creative palate profile of salinity meets spice and creamy textures – this grape over delivers time and again. Top Pick Wine: The 2015 Kaiken Ultra Malbec is brimming with black fruit and carries a dash of mocha in the mix. Easy food-pairing versatility combined with a fantastic price point make this a no-brainer bottle for the holidays. Conversation points? Glad you asked – ranked #45 on Wine Spectator’s Top 100 of 2017. From snazzy stocking stuffers or an age-worthy collector’s bottle to the high-pressure salute of the annual “boss’ gift,” wine is a fun, fancy and functional foodie gift – perfect for that tricky, typically hard-to-buy-for person on your list. For stocking stuffers, look for the personal-sized split bottles that run 187 ml (about 6 ounces) or turn it up a notch and fill that stocking with a bit more vino in the form of a half bottle of bubbly. For the collector and the boss, check out bottles that are capable of being aged a bit – start your search with California Cabernet Sauvignon, Bordeaux blends, concentrated Amarone, or Piedmont’s Nebbiolo-based bottles, Barolo or Barbaresco. Pol Roger Brut (half bottle) – The ultimate stocking stuffer: Who wouldn’t love to find a half bottle of Pol Roger’s tucked into the depths of their stocking come Christmas morning? 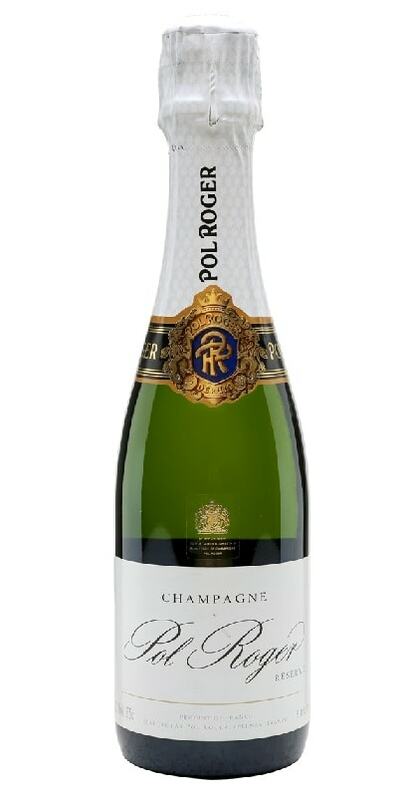 Based on a traditional blend of equal parts Pinot Noir, Pinot Meunier and Chardonnay, the grapes are sourced from well-known vineyards in Montagne de Reims, Vallee de al Marne, Petite Valle d’Epernay and the Cotes des Blancs for the Chardonnay. Masi Costasera Amarone Classico 2012 – A heady blend of the traditional grape trio, Corvina, Rondinella and Molinara, was dried on bamboo racks for 3-4 months to concentrate flavor components prior to fermentation. The result is a full-throttle Amarone from one of the best terroirs in Valpolicella Classico. Whether it’s ham, turkey, goose or prime rib, holiday dinners offer an outstanding opportunity to open new bottles from a variety of grapes and regions. Opting for a honey-baked ham this holiday season? Great, reach for the full, fruity flavors of a California Zinfandel. Turkey making a second debut at Christmas dinner? Give it a go with Beaujolais or Pinot Noir for red wine fans or a tangy, citrus-infused Sauvignon Blanc or Chablis for white wine lovers. Goose and prime rib, both buddy up well to Bordeaux blends. Traditional tried and true holiday favorites tend to be heavy on the Cabs and Cab-based blends. Top Pick: Classic Napa Valley Cabernet Sauvignon, the 2014 Kathryn Hall Cab brings an often-overlooked affordability to the region’s top grape. Easy to like, and even easier to share, this food-friendly bottle promises to bring out the best in prime rib, filet mignon, goose and game at this year’s Christmas Dinner. Yes, bubbles!! Nothing says ready to celebrate quite like a bottle of bubbly. Whether you are ringing in 2018 or just thrilled to be gathering with a favorite group of people this holiday season, sparkling wines are there for you. All the major wine regions produce their own signature sparkling wine based on local grapes, but for Champagne to be true Champagne, the grapes must be grown and bottled in the region of Champagne, France. 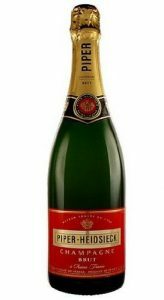 Top Pick: Representing one of the more affordable non-vintage Champagnes from one of the region’s top 10 Maisons, Piper-Heidseick Brut Cuvee brings exceptional consistency based largely on the Pinot Noir grape with diversity from over 100 different crus. Urge to Splurge? Catch a celebratory sip of Nicolas Feuilatte’s 2006 Palmes d’Or Grand Cuvee in a stunning, black dimpled bottle with matching gift box. Marrying the elegance of Chardonnay and the depth of Pinot Noir, this versatile cuvee is aged for a minimum of 9 years before release.